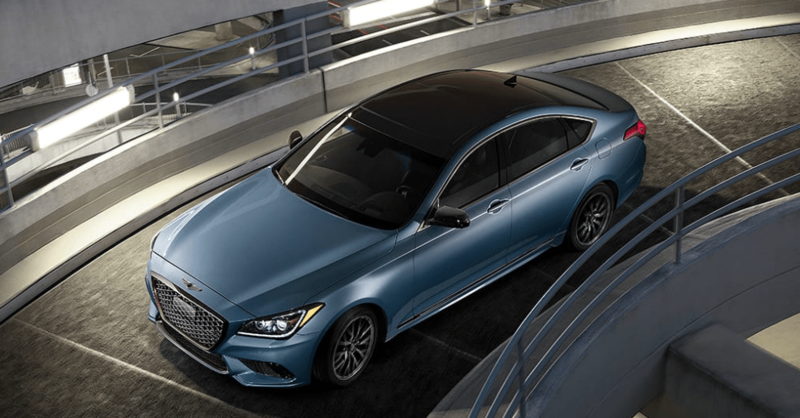 When you want to have the tranquility that a comfortable and quiet cabin can offer you, the 2019 Genesis G80 can be the right choice for you. This car is one that brings you the features that will make you smile and impress your friends and family while offering you the look and the feeling that makes it the right choice for you to have the drive you want to enjoy. You’re going to have a hard time keeping your eyes off this car as it mesmerizes you with its beauty and grace. The Genesis G80 you want to drive comes with a long list of amazing standard items that you can enjoy when it’s time to get behind the wheel for a drive. The base version gives you 18-inch alloy wheels, rain sensing wipers, a self-dimming rearview mirror, adaptive cruise control, leather seating surfaces, a hands-free trunk, a power adjustable steering column, paddle shifters, an eight-inch touchscreen, a navigation system, satellite radio, and smartphone integration. Move to the 3.3T models and you’ll have more power, a sport suspension, a panoramic sunroof, a multi-view camera, parking sensors in the front and rear, upgraded leather, a 9.2-inch touchscreen, a head-up display, and a 17-speaker Lexicon audio system. The 5.0 models of the G80 have the option of the parking sensors that are standard on the 3.3T models. Other items you can have include AWD, heated rear seats, a heated steering wheel, the Sport package, a 14-speaker Lexicon system, parking sensors, ventilated front seats, a sunroof, wireless phone charging, and other cool items that will be great for you. If you choose the 3.8 Ultimate packages, you’ll have a full package of the items listed to give you the most complete G80 you can have for the drive. Genesis offers you three different engines to give you the power choices you want. All three of these engines makes use of the eight-speed automatic transmission for the shifting you need. The base engine is a 3.8-liter V6 that offers you 311 horsepower and 293 lb.-ft. of torque. The 3.3-liter twin-turbocharged V6 engine upgrades the power to 365 horsepower and 376 lb.-ft. of torque for the drive. Choose the largest engine and you’ll have a 5.0-liter V8 engine that offers you 420 horsepower and 383 lb.-ft. of torque to give you the driving experience you want to enjoy. It’s time for you to get behind the wheel of the 2019 Genesis G80 and take it for a test drive. Regardless of the model you choose, you’re going to see that this car has the look, the features, and the qualities you want when you head out for a drive. Stop by and see the team at your nearby Genesis dealership today and let them assist you in choosing the right car for the drive you can enjoy every day. Looking for something slightly more affordable? Opt for the always-reasonable Hyundai Kona.